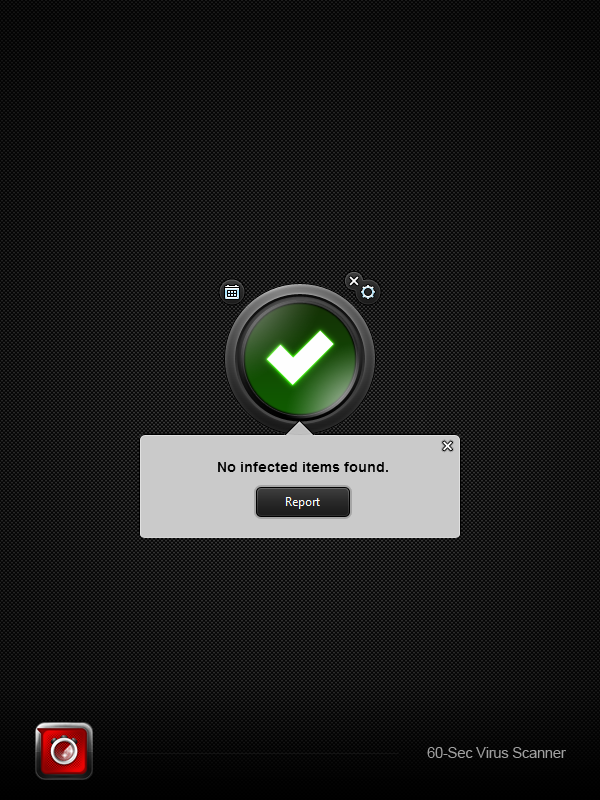 Bitdefender 60-Second Virus Scanner is a free and easy-to-use PC desktop app that utilizes the world's #1 ranked scanning technology to alert users of active viruses that are lurking on their computers. 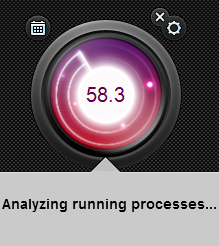 Using Bitdefender Autopilot™, 60-Second Virus Scanner automatically performs all scanning processes for you in the background-keeping you informed about your security status, as well as non-malware issues. Independent tester's top Choice in 2012! 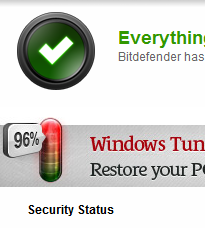 Bitdefender's excellent performance was confirmed again in September with the latest results from independent testing. 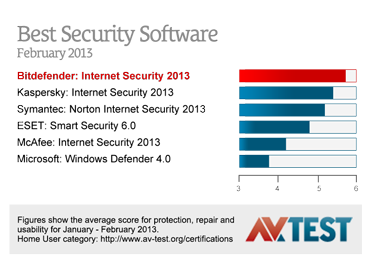 The elite anti-virus company has the highest year-to-date score in AV-TEST's rigorous, independent trials, beating competitors including Norton, Kaspersky and McAfee the independent lab's test results. 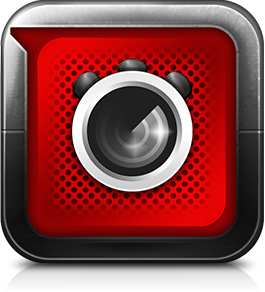 The achievement crowns a year of accolades and awards, including PC Mag's Editor's Choice, distinctions from reviewers such as CNET, Laptop Magazine, PC PRO, WebUser, PC Achat and Micro Actuel, and top results from leading industry organizations including AV-Comparatives and VB100. 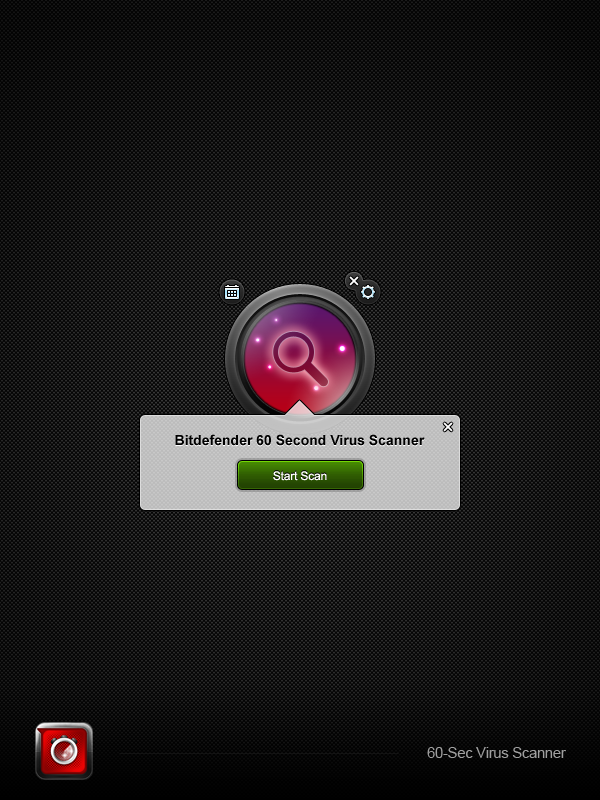 60-Second Virus Scanner builds on Bitdefender's history of elite protection and performance, ease-of-use, and unique user experience. It is now available as a fast and free solution available to all PC users. 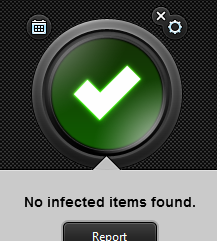 You will gain the confidence of knowing that Bitdefender’s proactive scanning system is safeguarding your computer, and will alert you of active threats. 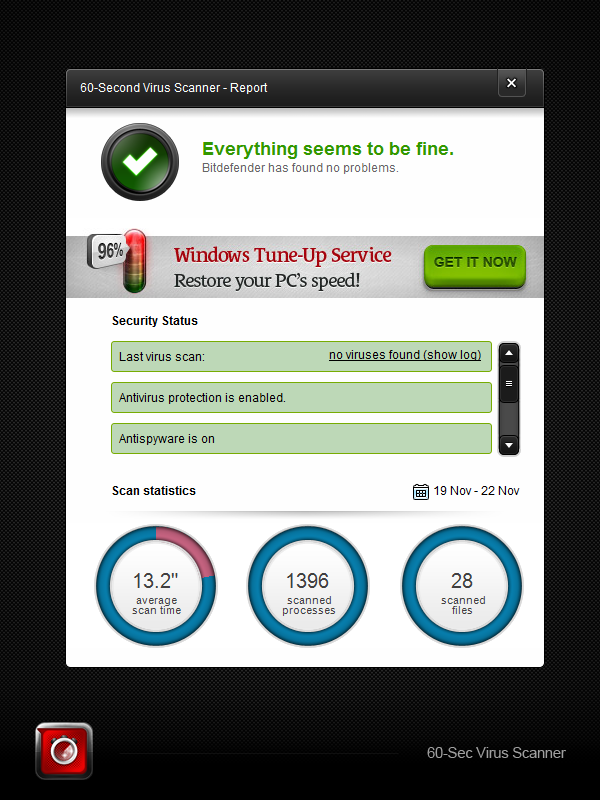 Plus, it enables to double-check your existing antivirus software to ensure its properly keeping you safe from attacks. 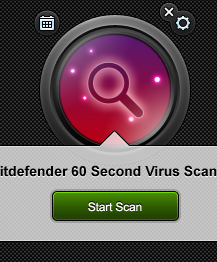 With 60-Second Virus Scanner, you will gain the confidence of knowing that Bitdefender’s proactive scanning system is safeguarding your computer, and will alert you of active threats. 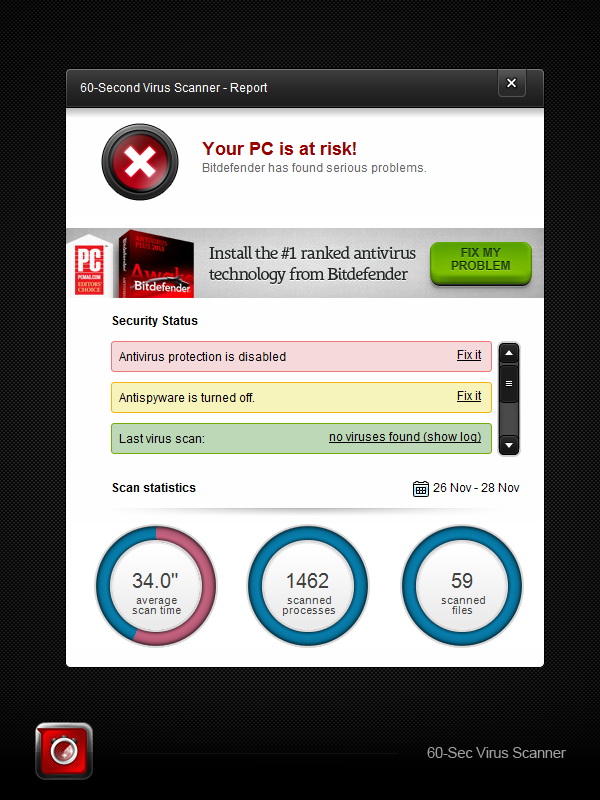 Plus, it enables to double-check your existing antivirus software to ensure its properly keeping you safe from attacks. 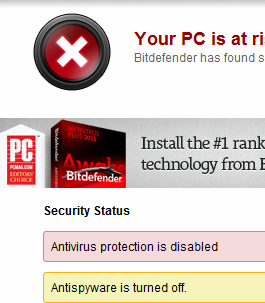 © Copyright 2012 Bitdefender. All Rights reserved.